The NCK Wellness Center is located in Mitchell County on the NCK Technical College Campus, in Beloit, Kansas, immediatly off US Hwy 24. The Wellness Center offers a variety of exercise and member service opportunties to help you lead a healthier lifestyle and reach your fitness goals. 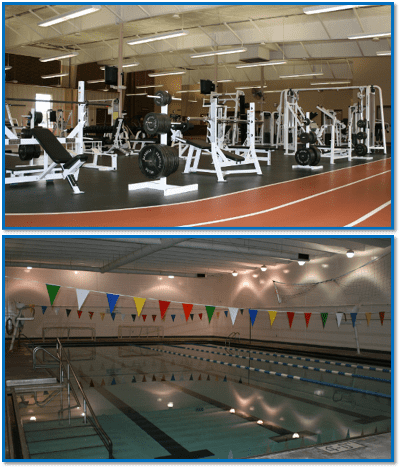 Whatever your shape, size or fitness level, the NCK Wellness Center has something for everyone!. Provide a supportive environment for sustaining and improving the wellness of our members but also to promote a culture of healthy living in this community and North Central Kansas. The NCK Wellness Center is a reality due to the insight and cooperation of the North Central Kansas Technical College, Mitchell County Hospital Health Systems, and the City of Beloit. Designated a 501(c)(3), NCK Wellness Center, Inc. is a stand­alone entity supported solely by membership dues, facility rental, and donations.